Snapdragon 675 vs Snapdragon 710 - Which is the Best Processor? Qualcomm has traditionally kept their 600 Series Processors for the Entry / Mid Range Android Smartphones and the 800 Series has been for the Flagships. Now the 700 Series is there, it has been targeting the Premium Mid Range Segment. But now it seems like almost most Mid Range Smartphones will be coming with either Snapdragon 675 or the Snapdragon 710 Processor. So Let’s Compare them in this video and see which is the best among them. 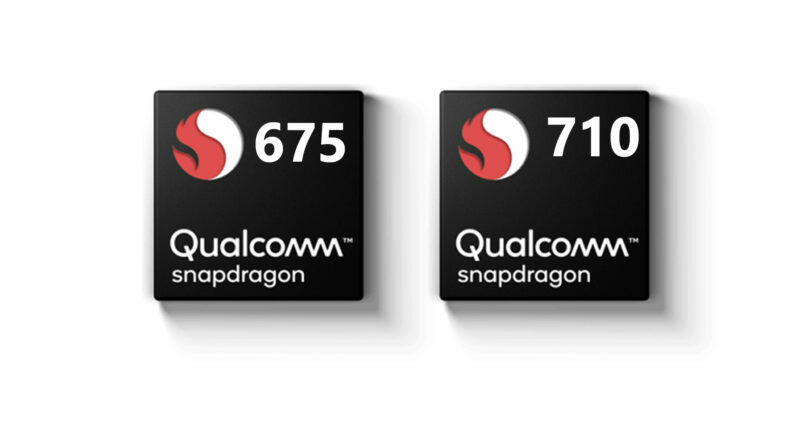 Among these two, Snapdragon 675 is the latest Launched Processor when compared to the 710. Even though both are Octa Core Processors, they are completely different configuration. Snapdragon 675 comes with the latest Kryo 460 CPU Cores and it also has ARM Cortex A76 High performance Cores. The Clocking Speed can be upto 2.0 GHz. On the other Hand, Snapdragon 710 it has the comparatively older Kryo 360 CPU Cores and it’s High Performance cores are of ARM Cortex A75 Architecture. The Clocking Speed can be up to 2.2 GHz which is higher than the 675. Coming to the manufacturing process, the Snapdragon 675 is using the 11nm LPP FinFET Process while the Snapdragon 710 uses the 10nm LPP FinFET Process. Here the Snapdragon 712 used the better X15 LTE Modem while the 675 used the X12 Modem. Regarding the ISP Snapdragon 710 used the Spectra 5250 whereas the 675 used the Spectra 250L. Also the Snapdragon 675 can support slo motion videos upto 480 fps on HD. Displays can be up to Quad HD on the 710 while the 675 maxes out at Full HD+. Also the Snapdragon 675 can support Quick Charge 4+ while the 710 can support upto Quick Charge 4. Even though the 675 is coming as a successor to the Snapdragon 600 Series, it gives a tough fight with 710. Overall neither of them are clear winners but 675 has some advantages up it’s sleeves like the few dedicated optimizations that Qualcomm has done for this chipset working with various Game developers like PUBG. But a Smartphone with neither of this chip can be a champ for Daily as well as heavy Usage! ← Realme 3 Pro to come with Oneplus 6T Camera Sensor?